You sell large and small industrial equipment, and need to know that you have the right parts and materials to fully equip and service each client at all times while growing your efficiency and position in the market place. Not only are you supplying products for your customers, but you often have to service those capital goods you supply; whether they are forklift, snowmobile, conveyor, crane, road construction equipment or any other industrial product. 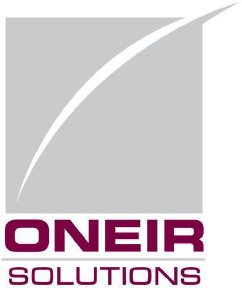 HOW CAN ONEIR SOLUTIONS INC HELP MY INDUSTRIAL SUPPLY COMPANY? Categorize your customers by business type (i.e. wholesalers, contractors, government) allowing you to control their discounts and price breaks. Generate orders based on their unique sales history, track customer balances, control credit limits and “hold” orders for customers with overdue balances. From initial estimate and quote, to ensuring the job is delivered on time, Job Shop Management monitors each aspect of every job. Each stage of production is estimated, costs accumulated and reports provided for a basis to assess management’s performance. Prepare estimates with components for labor hours and rates, materials, indirect overheads, purchased services and other costs. Reports identify reasons for not achieving targets. A quotation file can be maintained, converted to jobs or removed. Oneir Solutions provided the facility to distribute overheads and accumulate profit margins based on labor hours worked, labor hours paid, percent of costs, fixed amounts for the transaction or fixed dollar amounts. You select the method. Take your industrial supply business to a whole new level with Enterprise Resource Planning (ERP) that efficiently manages key business functions through one shared information database…while increasing sales with Customer Relationship Management (CRM) that provides a central source of information about customers and prospects., and multiple methods to attract and service them. Inventory Control: Purchase ordering, materials requirement planning, special orders and back orders. Web, Phone and Mail Orders: Receive orders by phone, e-Commerce web store integration or catalog for deliver to specific job sites.